Oh, gotcha. It's an ironic post. That was meaner than I intended. Okay, but the bungie store will not ship international at Bungie day, right? I can't remember if they do international shipping or not. If it's something small you could always have it shipped to me and I can give it to you at PAX. Time to boot up the old Halo Reach disc for the occasion. I want that app on Android! You're too awesome for this world. An iOS only release just goes to show how many people don't do any kind of accurate research in regards to where the mobile market currently is. Android is crushing all competition and to not have an Android release means not gaining a potential 40% of the world's smartphone marketshare. That's not counting the 22% of the worldwide tablet marketshare as of Jan 2011. More customers = more potential money. Ignoring it is being ignorant, plain and simple. Any new stuff from Bungie makes me happy. Though as much as I'd want it to be, I don't think Aerospace is a new game. I hope it's what I was expecting out of the Legendary Edition. I'm very excited for it no matter what. The article is from May, which may not be accurate enough for you. I'm betting Aerospace is just their bungie.ent platform with added social media features as well as the abilities to now link your PSN and Steam accounts as opposed to just your Gametag. That would be anti-climactic. Whatever it is, I hope it's not exclusive to iOS. I also hope it's not simply an alternative to an existing service, like Facebook or Steam. They won't be showing their game. Only thing that makes sense, since they started working on PS3 and PC again. Also it won't be exclusive to iOS it will be just be bungie.net being expanded into its own space. Think of Call of Duty Elite but it's free. This sounds about right from a realistic standpoint. Whatever they do next, I hope they do something like Forge. Pretty much my expectations as well. But it'd be awesome if it was a steampunk flying combat game. It's never going to happen. Ever. We will all die as miserable, worthless peasants. closing the current Bungie.net and going to Aerospace would assist in the divorce as well. Why would profitability matter for what I would presume to be a free app? Can only get to it via URL, and nothing is on sale yet, needless to say I want one. Other stuff is starting to show up, not on sale yet. I really, really hope they ship internationally for this. Really. Someone asked the @BungieTweets if they will have international shipping and they said yes, not sure if that's for these bags, or everything, but who knows. So wait... when can I buy this?! It's cool plus you never know what you might get. $72/£45 to ship to UK. Damn. Done! I'll post the contents of my bag when it arrives! That IS including the swag bag, right? I pre-ordered it. 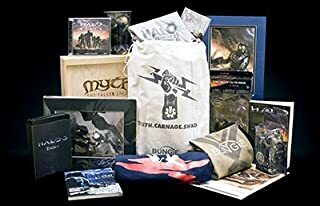 Urk please confirm that Bungie is going to ship it to germany? Yeah. But I'm slightly short on money and without a job right now. Hmmm. Too expensive for me. Oh well. $32 to canada, wewt. Now lets hope the Canada Post strike doesn't bite me on this one. Nabbed me a bag o' swag. $40 to canada, wewt. Now lets hope the Canada Post strike doesn't bite me on this one. yeah im hoping the same thing, it only cost me 2 dollars for shipping though which I was suprised about. OMG i want a bag. Bought the swag bag. Should be good for a larf. Ya it only cost me $2 to ship to Canada as well. 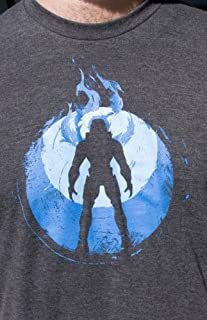 After almost a full second of consideration, I decided I love Bungie enough to pay over twice the cost of the item to get it shipped over to the UK. So, is the swag bag just going to be a random mix of the items pictured? That's what it seems like.